Perhaps you’ve seen your friends’ photos, or maybe you’ve been lucky enough to have been on vacation to the Island. 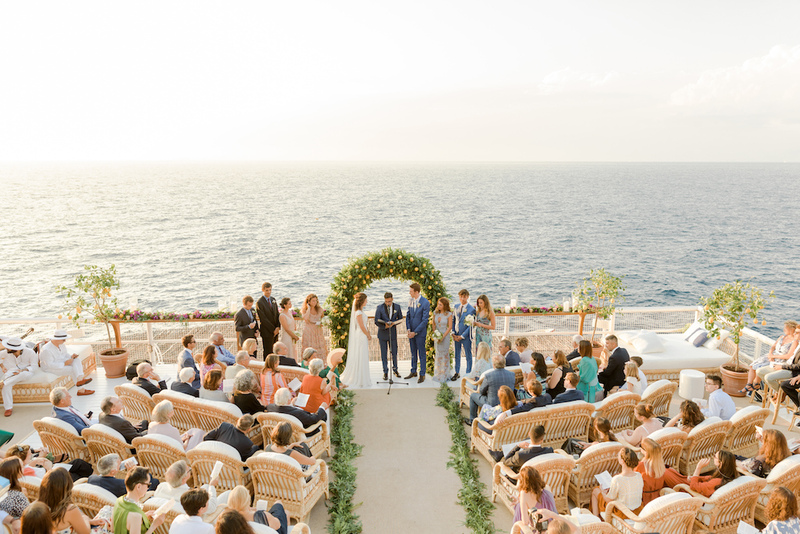 And it was love at first sight: your idea to get married on Capri came to you like that, just as a ‘what if…?’ But today it’s become your dream. And you need a team that will help you handle every detail. We’re a Wedding Planning Agency born and bred on Capri and we’ll assist you in every way: from scouting the places that will let you capture the beauty of the island to coordinating your movements from place to place. And then you’ll be needing flowers, a photographer, and a picturesque local restaurant. Don’t forget the music… in other words, you’ll need Capri Moments, the team of professionals that will accompany you throughout this fabulous adventure. We’ll plan everything together for your a one-of-a-kind event, led by your whims and desires, handling everything with great love and care. What’s the convenience of using a wedding planner agency based on Capri? Forget all about the tedious bureaucracy. We handle all the paperwork for civil weddings. We know every nook and cranny of the Island and so we can recommend the most beautiful locations where one can celebrate civil rites and symbolic ceremonies, as well as suggest the right churches for religious ceremonies. Would you like to say the most important “Yes” in your life as the sun dips into the Mediterranean? Or amongst the ruins of an ancient villa that once belonged to Emperor Tiberius? A relished surprise – To wish your guests a great stay, we’ll package and deliver a custom-made bag with a map of the island, the wedding program, a small taste of the local cuisine and a lot of other surprises chosen from our traditional handcraft shops. VIP Concierge – Assistance for your guests 24/7. Tours of the island by boat, beauty spa treatments by appointment, guided tours and excursions around Capri, the Amalfi Coast, Naples, Sorrento and Pompei. Discover the beautiful sights of the area. Welcome to Capri – The day your guests arrive we’ll organize their welcome dinner, an informal meal to greet your wedding attendees. Alternatively, we can arrange a cocktail buffet. 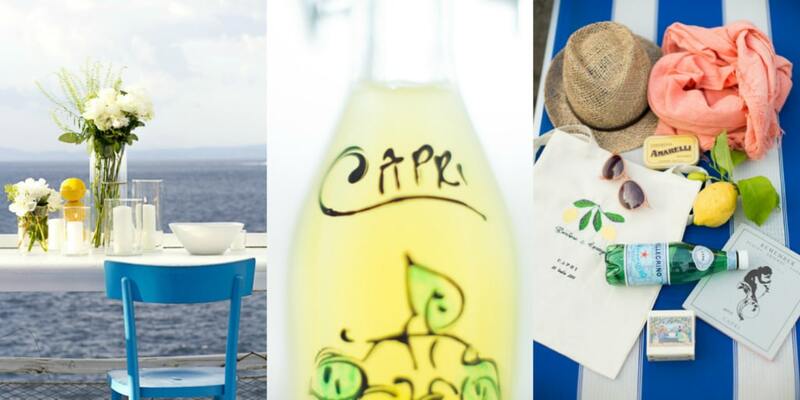 Arrivederci Capri – A quick brunch, a garden picnic, or a fun pool party, are some great ways for the day after the wedding to greet and thank friends and family. But how much does a wedding on Capri cost? The perfect wedding is one that meets your expectations, and your wishes. Your happiness is our mission: you give us your budget, the limits we can work within, and we’ll shape and create the event using all available resources. Send us an email, or fill out the form and let’s get started planning your wedding either in Capri or Anacapri!